Reminder: November 2016 Guild Meeting this Thursday! • Our November meeting is this Thursday, November 17th, 2016 at 7:15pm at the Community Church of Cedar Grove, 65 Bowden Road, Cedar Grove, NJ 07009. Parking is located in the large lot in the back – use the side entrance to come in. Feel free to arrive about 15 minutes early. • Zippered Pouch Swap with the DCMQG: If you participated in this swap, you’ll receive your pouch at the meeting. • If you participated in a past Bee Block Swap and have a finished quilt top or quilt, please bring it to show! 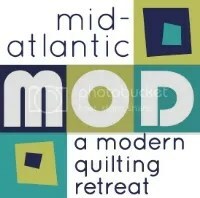 – We will have blocks to hand out to work on for the QuiltCon Charity quilt. – There will be charity quilt tops and fabric available for members to take home, and batting, too! – If you have a completed Quilt of Valor block, please bring to this meeting. – Kelly C. is collecting 5″, 6″, or 6.5″ fabric squares (not blocks) to make up new quilt kits for Quilts Beyond Borders. Any colorful fabric is great as the quilts are for kids. • Budget for 2017: Our Tentative Budget Proposal for 2017 is available for review on the blog under the password protected Members Only tab. We will vote on the cost of Membership Dues for 2017 and will vote on it at the November meeting. The board is proposing to keep the dues at $50 for 2017. We will review the budget at the November meeting and will vote on it at the December meeting. Please email njmqginfo at gmail dot com if you need the password. I’m planning on bringing snacks – I figure if I write it here, I will.